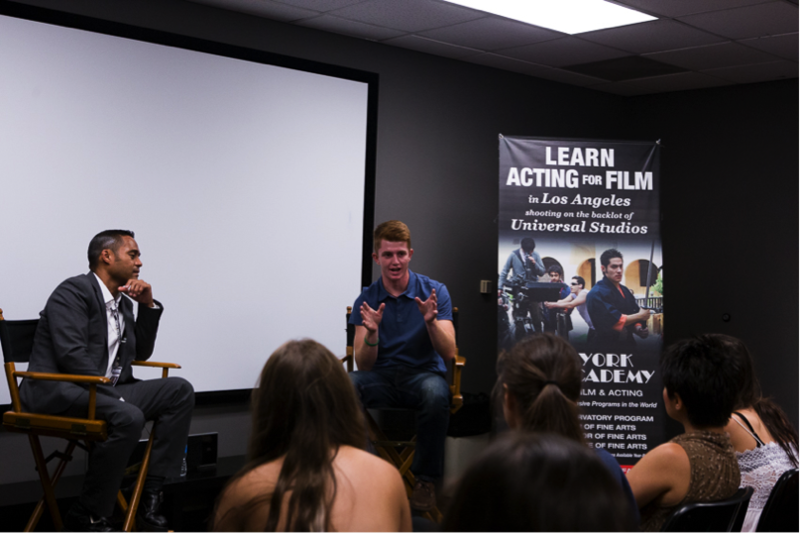 At the New York Film Academy’s Los Angeles campus, students were treated to guest speaker Zane Huett, an actor who played Felicity Huffman’s son Parker Scavo on Desperate Housewives, where he was a series regular for five years. Speaking to jam-packed room full of NYFA teen camp students, Huett first showed off a highlight reel of his work, which included clips from Desperate Housewives alongside his more recent work in films such as Dear Lemon Lima and his web series Blooob. Zane recounted his experience in acting, having first gotten started at the age of 4 years old. 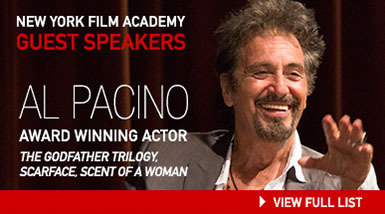 He also shared a variety of tips that included advice on obtaining an agent to the pitfalls and highlights of childhood stardom. Zane is not just an actor, however; he also plays bass and sings in his band The Boulevards. Following the informative Q&A session, he stuck around to take photos with and sign autographs for many of the NYFA students who also counted themselves as fans of his work.